This is a rectangular W.H. Clark Canned Food porcelain sign. This particular W.H. 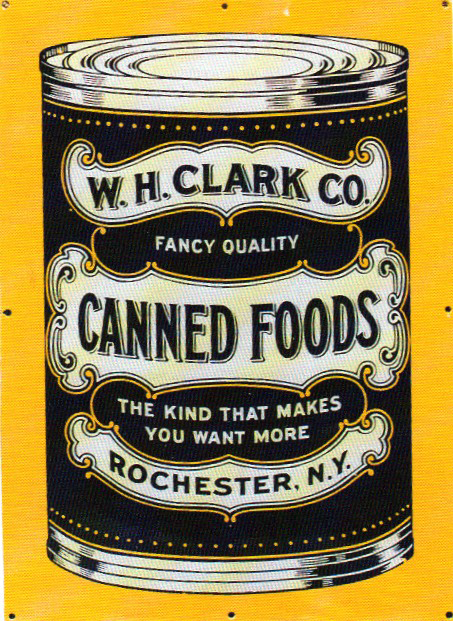 Clark Canned Food sign is yellow with a black and white can of W.H. Clark Canned Food. The can reads, “W.H. Clark Co., Fancy Quality, Canned Foods, The Kind That Makes You Want More, Rochester, N.Y.”.